The Primary Sound You Hear In Chewbacca’s Voice Is A? Which Early Video Game Console Offered Perfect Arcade-To-Home Game Ports? It’s a question many a young Star Wars fan has debated: what sounds, exactly, make up the signature growl and warble of Chewbacca’s character? Is it a single voice actor with a particular talent? A clever blend of creatures big and small? 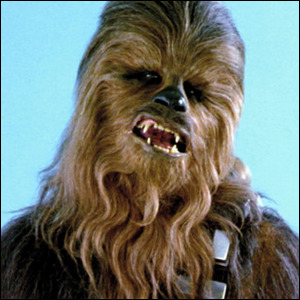 The primary sound you hear in old Chewie’s voice is a bear. Not just any bear, mind you, but a very specific bear. When Ben Burtt, sound designer extraordinaire and industry legend, set to work on creating a voice for Chewbacca, he started with the vocalizations of a black bear named Tarik from the Happy Hollow Zoo, located in San Jose, California. In later pre-release revisions, he blended in additional animals (a badger, walrus, and a lion) to create the signature voice that has delighted generations of fans.